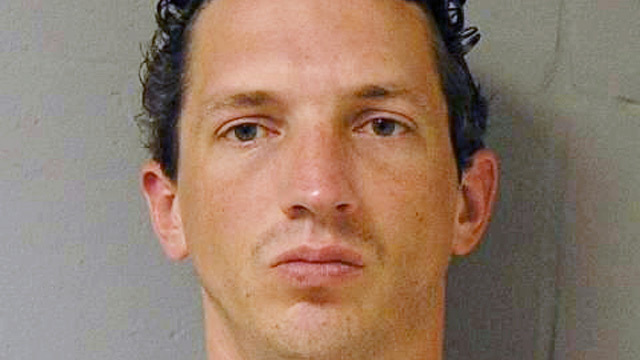 Serial killer Israel Keyes' capture was his own undoing. It was the meticulous murderer's loss of control and violation of his own careful rules of murder that ended years of traveling to kill for fun. When Keyes, 34, approached an Anchorage coffee stand Feb. 1, he told himself that if the person working inside did not have her own car, he would only rob the place and leave. But when he approached and found teenage barista Samantha Koenig by herself, he couldn't help himself, Keyes told police. He dragged her out, into his own car, raped her, strangled her and was eventually arrested for her murder. "In prior cases, he had enough self-control to walk away from it, to not commit the kidnapping, to not commit the abduction and with Samantha he didn't," Anchorage homicide Det. Monique Doll said Monday. "He broke his own rule. He had drawn his line in the sand and he couldn't help himself, he said. He took her anyway." The arrest of Keyes on March 12 ended more than a decade of traveling around the country to find victims to kill or to prepare for future crimes by burying murder kits of weapons, cash and tools to dispose of bodies. Since March he had been slowly telling police about his hidden life and how he operated. But the tale abruptly ended when Keyes committed suicide in his jail cell on Dec. 1. Police are now left trying to fill in the details of his vicious life. Police believe he killed between 8 and 12 people, including Koenig, but only three victims have been definitively tied to Keyes so far. Before his jail cell suicide, Keyes gave authorities some clues on how he managed to remain undetected for so long. "He basically had this rule, this unwritten rule, that he would travel outside and go to great lengths to distance himself from any of his victims," Doll said. "He told us he was losing control. He was losing the massive amount of self-control that he had." Koenig's abduction broke Keyes' rules on two levels. First, she was in Anchorage, which was also Keyes' home. Second, she did not have her own vehicle. "Mr. Keyes told us that he was deciding as he walked up the coffee kiosk that if the person working inside did not have a vehicle he was only going to rob the [place] and walk away because he did not want to transport his victim in his vehicle," Doll said. Keyes quickly discovered that Koenig did not have a car, but when he saw her, his desire to kill overpowered his discipline. This admission was among many startling revelations Keyes made over about 40 hours of interviews with police in which he discussed topics ranging from torturing animals as a child to the way he fantasized his own death. "He didn't plan on being taken alive," Anchorage Police Officer Jeff Bell said at the news conference. Keyes envisioned himself being caught robbing a bank and dying in a police shootout, Bell said. For this reason, he would bring two guns with him to bank robberies--the gun used to rob the bank and a second gun hidden in his coat with 100 rounds for a shootout. Keyes also talked about his interest in serial killers, though he was adamant about not being called a serial killer. "He had researched and read other serial killers. He knew a lot about Ted Bundy," Doll said. "He was very careful to say that he had not patterned himself after any other serial killers, that his ideas were his own. He was very clear about that distinction. That mattered a lot to him." "He never identified himself as a serial killer," she said. "That was one of the things that he wanted very much, as this investigation progressed, to keep from being identified as." Doll said Keyes was interested in suspense and crime movies and books, which he said he enjoyed because he recognized himself in the characters in a way that he could never talk about. He prided himself in his ability to maintain a double life and was very cautious about protecting the life he led with his girlfriend and daughter. "He was very confident in that fact that he was successful in leading this kind of Dr. Jekyll and Mr. Hyde lifestyle and that no one would ever suspect him of doing these crimes, had he not confessed," Doll said. As a killer, he was remorseless and made it clear that he liked to kill. "Israel Keyes never expressed in any way, shape or form that he was ashamed or regretted any of his actions and he was very self-aware. He was also very okay with the fact that he did this because he got enjoyment out of it," she said. "He didn't try to rationalize it." Authorities also released new audio from interrogations with Keyes. In both clips, he described failed plans to kill other Alaskans from April and May 2011. In one case, he had staked out a park where a young couple were in a car. The assassination was interrupted by an Anchorage police officer who showed up to tell the couple the park was closed. "It could have got ugly, but fortunately for the cop guy..." Keyes said before chuckling, "his backup showed up. I mean, APD is really good. They're really good, like all by the book and stuff. That's about the time I decided to get a scanner because I almost got myself into a lot of trouble on that one." That would not be Keyes' last close call. After he abducted, raped and dismembered Koenig, he took off to the southern U.S. with her debit card, which he used at several ATMs before being caught in Texas. Authorities said Keyes knew the risk he was running, but wanted to fulfill a fantasy of executing a ransom where the money was deposited into a debit account he would use. "Using her debit card was part of his fantasy and it was something that he had thought about for a long time," Doll said. "He had also thought about how he was going to cloak it, how he was going to escape law enforcement. He wasn't a stupid man." "He had understood that a debit card and a debit card usage is a very easy way for us to track somebody's movement, but...that was part of his fantasy that he wanted to fulfill," she said. If Keyes had not decided to risk it with the debit card, he would likely still be traveling to kill. He told authorities that he intended to leave Alaska this summer and would probably work as a gypsy contractor while keeping up his fatal hobby. "I don't think he had any intention of stopping what he was doing," Bell said. The FBI in Oregon is asking for help identifying Keyes' potential first victim. Keyes told FBI agents in Alaska that he raped but did not kill his first victim in Oregon between 1996 and 1998. He said the girl was between 14 and 18 years old. The FBI is asking that anyone with information about Keyes contact the FBI at 1-800-CALL-FBI.